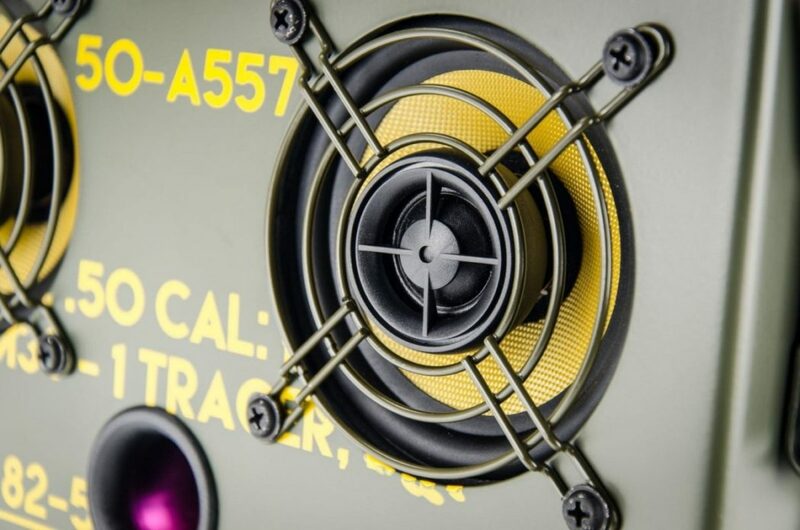 Although the market for the class of big, hulking boomboxes that rode astride many a shoulder in the ‘80s and ‘90s has dwindled dramatically since that period, there’s still demand for portable speaker setups (though, it must be said, the more modern-tech-friendly they are the better). 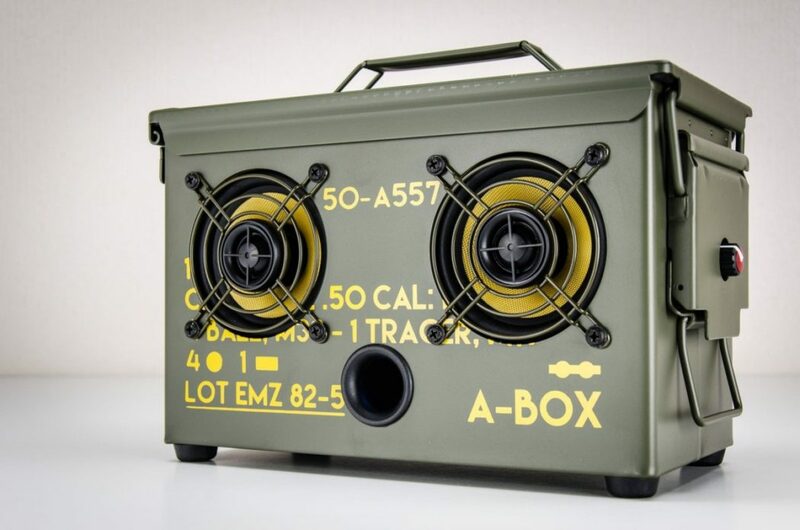 Of course, one way to make your portable speakers stand out from the crowd is to make them look distinctive…or like something other than portable speakers. 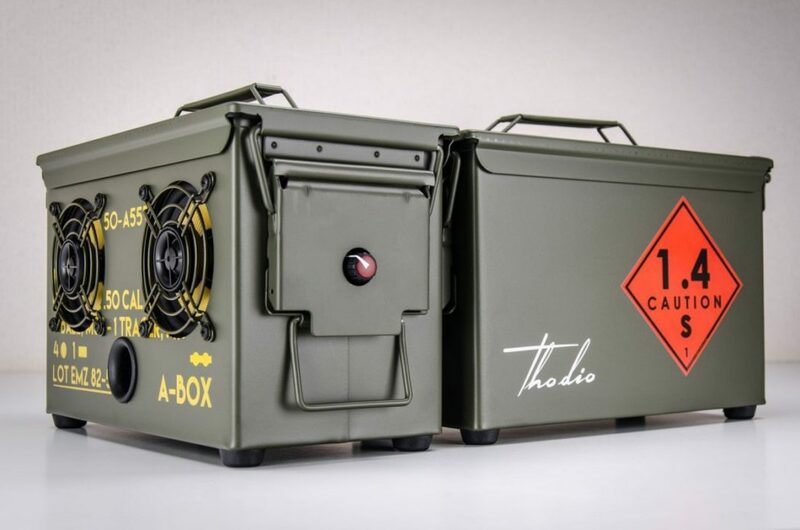 But the crafty Dutch boys and girls at Thodio didn’t just make its new .50 Cal A-Box look like something else; they built it out of something else! 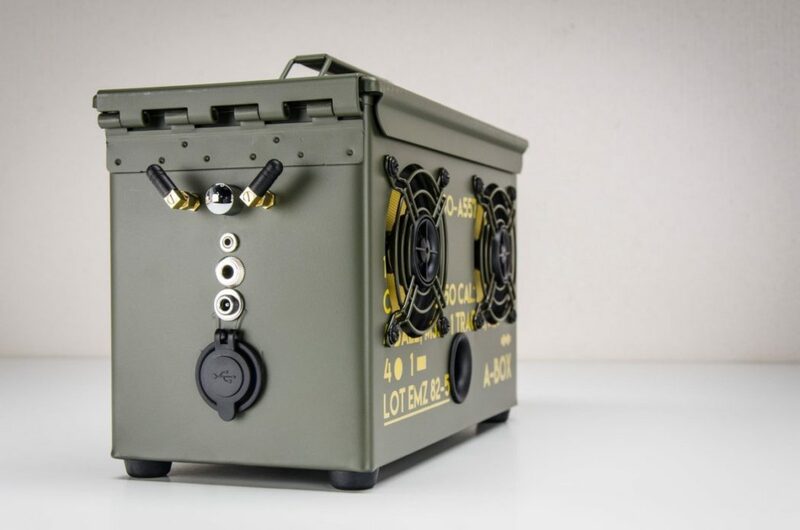 Starting with an empty military-grade case used to transport .50 caliber ammunition (hence the name), Thodio adds a pair of its KSX4 coaxial speakers (with Kevlar cones) and Softdome tweeters, a 200-watt Class D amp, and a lithium-ion battery pack that holds 26 hours worth of power on a single charge. 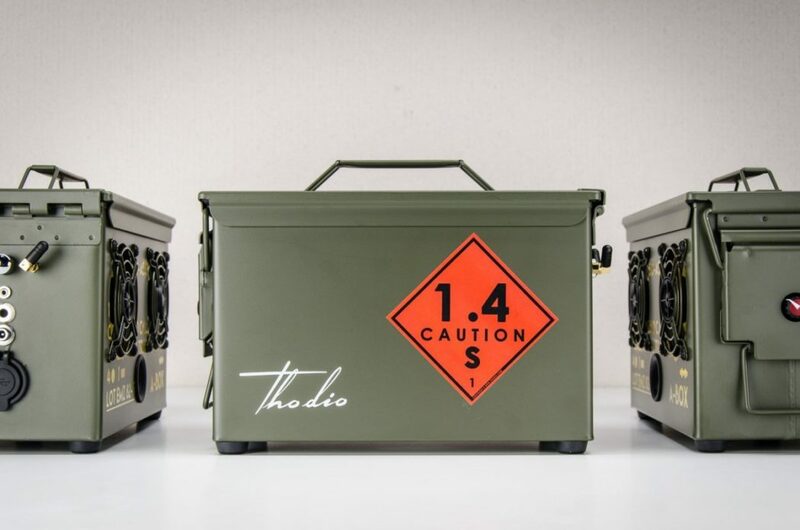 And if the standard 3.5mm aux-in jack isn’t enough, Thodio will gladly equip your .50 Cal A-Box with a Wi-Fi antenna, a Bluetooth antenna, an electric guitar input, two of those three or all three, as well as a USB port for charging your other portable electronics and a more potent 52- or 78-hour battery. 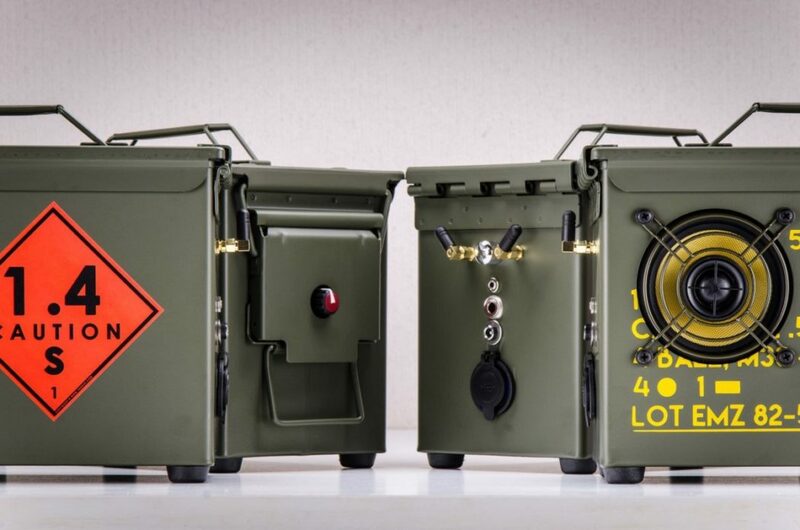 However, any option will add to the $419 base price, and if you go for every option the price will swell to $858. 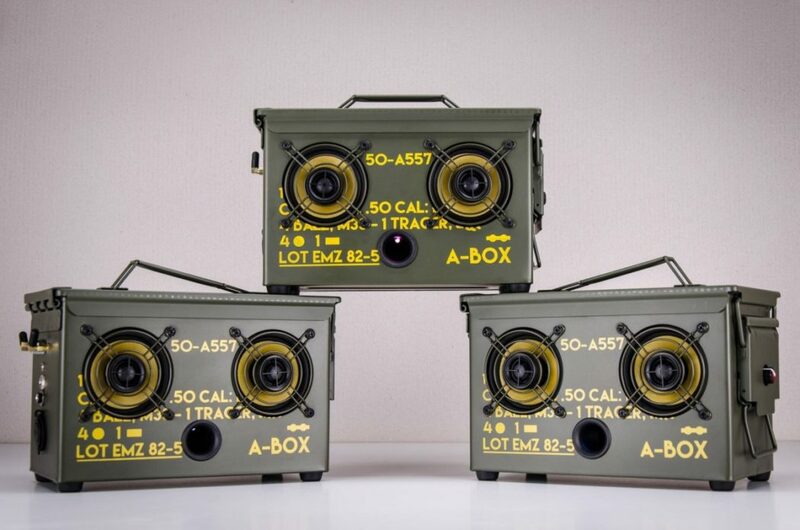 Then again, you’ll still get a three-year warranty regardless of how much or how little you spend on your .50 Cal A-Box.